A few years ago Eva, our shepherd was in an accident. She had a wound on her paw that wouldn't heal. For over a year we tried several remedies. 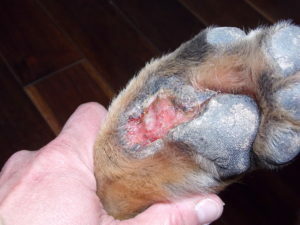 She wore boots like the dog's in the Iditarod, took antibiotics, went through miles of bandaging, nothing worked until she started healing with honey. 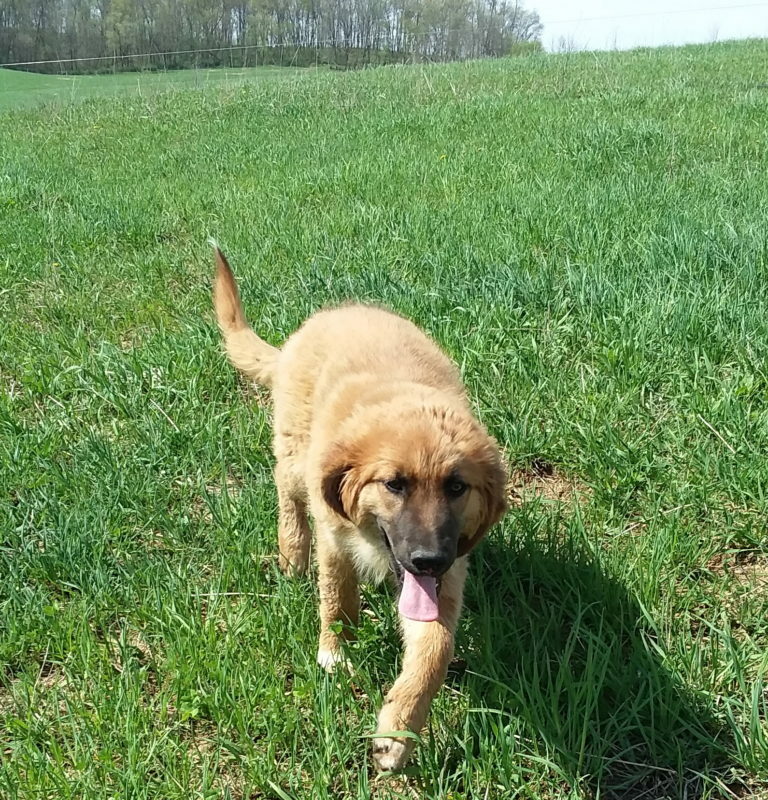 One veterinarian suggested re-breaking her leg to readjust the rod and plate. The theory that if Eva could walk straighter it would take pressure off the wounded paw. That seemed like a traumatic solution. Then a family friend, who's also a veterinarian, suggested sugaring or honeying the wound. I decided to use crystallized honey. Every day we cleaned Eva's paw, spread honey on the wound and bandaged it. She started healing within a few days. By months end the healing was nearly complete. Applying honey is a simple solution. Bacteria can't grow in a high sugar environment and honey is naturally antimicrobial. Healing properties of honey are well documented. Organic honey is perfect for healing cuts, burns, skin ulcers and surgical wounds. This list is from the book, Two Million Blossoms; Discovering the Medicinal Benefits of Honey, by Kristen S. Traynor, M.S. In addition to the healing property of honey, another reason to keep pesticide free, pure and clean is that studies show pesticides threaten not only bees learning and memory but humans, as well. Royal Holloway University of London compiled a decade of studies on agrochemical research and the affect on bees. Their research determined that even at very low field-realistic dosages pesticides significantly reduced the bees ability to memorize rewarding scents which are a vital component in their search for food. Exposed bees had trouble remembering what type of flower to visit, where to find flowers, and which flowers they'd already drained of nectar. And at very low doses of pesticide exposure bees had difficulty finding their way back to the hive. Since the repeal of Country Of Origin Labeling (COOL) it's not easy to identify where fruits, vegetables and meat is coming from. 75% of grass-fed beef is imported. Other countries allow classes of pesticides banned in the United States. Consuming these products increases your exposure. DDT (dichloro-diphenyl-trichloroethane) was used extensively as an insecticide in the 1940s, but has been banned in the United States since 1972 after scientists linked the compound to wildlife health and environmental concerns. DDT is still used in other countries to combat the spread of malaria. "We have additional studies underway that will seek to directly link DDT exposure to Alzheimer's disease," said co-author Dr. Dwight German, Professor of Psychiatry at UT Southwestern. 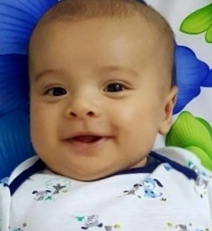 "If a direct link is made, our hope is to then identify the presence of DDE in blood samples from people at an early age and administer treatments to remove it." The study found elevated levels of DDE in blood samples of 86 patients with Alzheimer's disease as compared to 79 control patients from the UT Southwestern Alzheimer's Disease Center and the Emory University Alzheimer's Disease Center. Source: UT Southwestern, one of the premier academic medical centers in the nation, integrates pioneering biomedical research with exceptional clinical care and education. The institution's faculty includes many distinguished members, including five who have been awarded Nobel Prizes since 1985. Beyond Pesticides has a Pesticide-induced Disease Database which sites studies and research about children's exposure to agrochemicals. Visit their site to educate and protect your family. Limiting your families exposure is as simple as switching to an organic diet. You can do that by growing your own fruits and vegetables, buying organic meat and dairy, and by using clean products around your home. Remember, You have control over your families health. 75% of all grass-fed beef sold in the United Stated is imported. Buying local grass-fed beef supports farmers and restores the environment where you live. The latest tests by federal scientists found that nearly 80% of supermarket meat had antibiotic-resistant bacteria. “Consumers need to know about potential contamination of the meat they eat, so they can be vigilant about food safety, especially when cooking for children, pregnant women, older adults or the immune-compromised,” said Dawn Undurraga, Environmental Working Group’s nutritionist and author of the report. Those bacteria were resistant to at least one of fourteen antibiotics tested for by the Antimicrobial Resistance Monitoring System, a federal public health partnership. Genetically engineered corn seed is “stacked,” with traits. There are three levels of “stacked” corn. Each stack is either; corn borer resistant, rootworm resistant or herbicide resistant. A double stack has two traits, a triple stack has all three. GMWatch reported that rats fed triple stacked corn developed leaky stomachs. Put the Power of One Grass-fed Steer to work for you. Feed your family healthy meat that repairs the environment and heals the earth. Avoid products that cause harm to your family and the area you live in. You have the Power to improve your diet and the earth! Twenty-six years ago we decided to go organic. Now, two healthy young men later, we're still committed to healthy farming. That's why our farm is certified organic. Many hours were spent learning about grass-fed meat and the benefits of raising food organically. 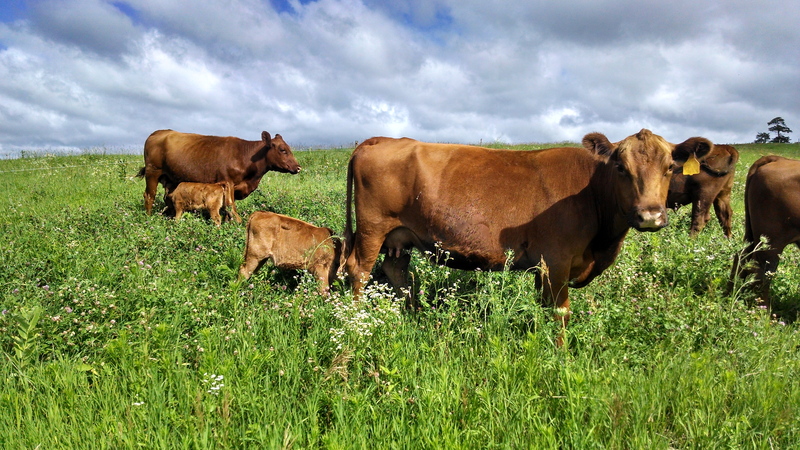 They grew up on organic fruits, veggies, grass-fed raw milk and organic meat. 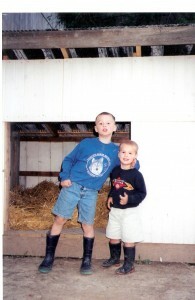 Both have grown and the farm has too. The boys live overseas and look forward to beef and dairy when they get home. They don't eat much of either one in Vietnam. Our son and his new wife will be here soon. He asked if we're milking Blossom, the house cow. She'll calve in the next few days. Ten days after calving we'll separate her calf at night and reunite them after milking each morning. Everyone is looking forward to good milk. Another reason to go organic, Our first grandson, Max. Studies show that Pesticides lower IQ scores. Evidence suggests that genetically engineered food may contribute to Autism, Attention Deficit Disorder, and allergies in children. The organic Trade Association released a new and expanded survey on organic attitudes of U.S. Families. Twenty-five percent of the millennials in America are parents. In the next 10 to 15 years, 80% of millennials will be moms and dads. This generation is a huge supporter of organics. The survey shows that becoming a parent deepens the desire for consuming organic products. The age-old solution of switching from briefs to boxers is outdated. To father a child change the fruit you eat, not your underwear. Researchers at Harvard University surveyed 155 men who sought fertility treatments. They found subjects who ate more soft skinned produce, like potatoes, grapes and apples, which contain higher levels of pesticide residue, had half as many sperm and fewer normally formed sperm than men who ate more thick-skinned produce like avocados and pineapple. Study author Jorge Chavarro tells The Washington Post, "It was actually very surprising that we were able to identify such a strong association, I think this raises a lot more questions." Researchers from Indiana University and University of California San Francisco have linked glyphosate exposure in pregnancy to shortened gestational length. 93 percent of a study group of pregnant women in Indiana had detectable levels of the glyphosate in their urine. Those with higher levels delivered earlier compared to those with less or none. Overall, glyphosate exposure during pregnancy is associated with shorter pregnancies, which correlate with lifelong adverse health consequences for children. Herbicides, pesticides, and the misuse of antibiotics in livestock feed is death by a thousand cuts. It's incremental exposure over time that creates the tipping point in our health. Your children are counting on you to limit their exposure before it's too late.. .
How do avoid the overload in the human body and environment? Don't support the chemical companies. Buy organic food for your family. Buy organic seed for your garden. Buy bee friendly plants and seeds. Additionally, spend your money on items that YOU believe in. Products that are safe. Food that is nutritious, clean and organic. Spend your money on items that Do No Harm. We'd love to serve you as a customer. However, if you're not in our area find a farmer that's committed to your health and sells pasture raised meat. EatWild.com has listings by state. 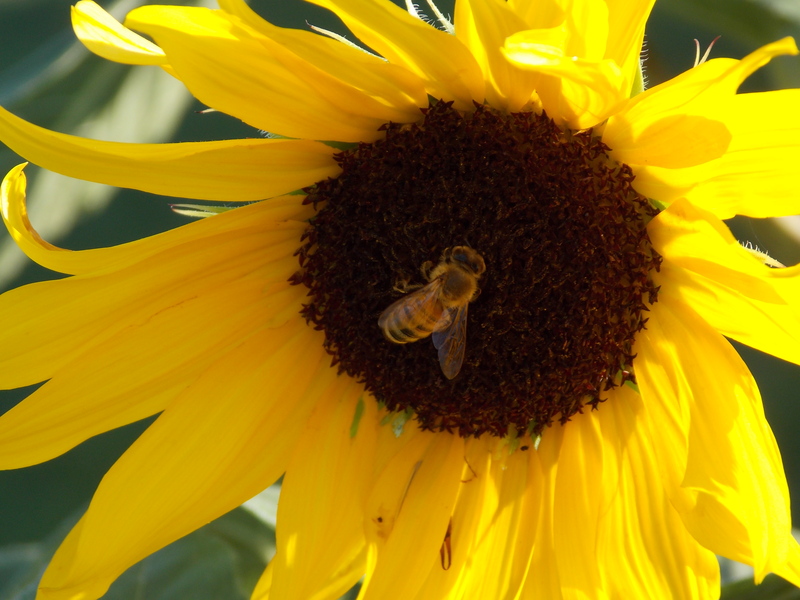 David Kline, editor of farming magazine has noticed a scarcity of flying insects. He doesn't drive a car but asked drivers if they've noticed a difference. We've noticed. When we take a drive through the countryside the windshield stays clean, not bug splattered. We use to buy special washer fluid to get rid of the bug goo, not anymore. Here in north east Iowa the helicopters and small planes (the aerial applicators) are unleashing insecticides, fungicides, and herbicides over the crop fields. 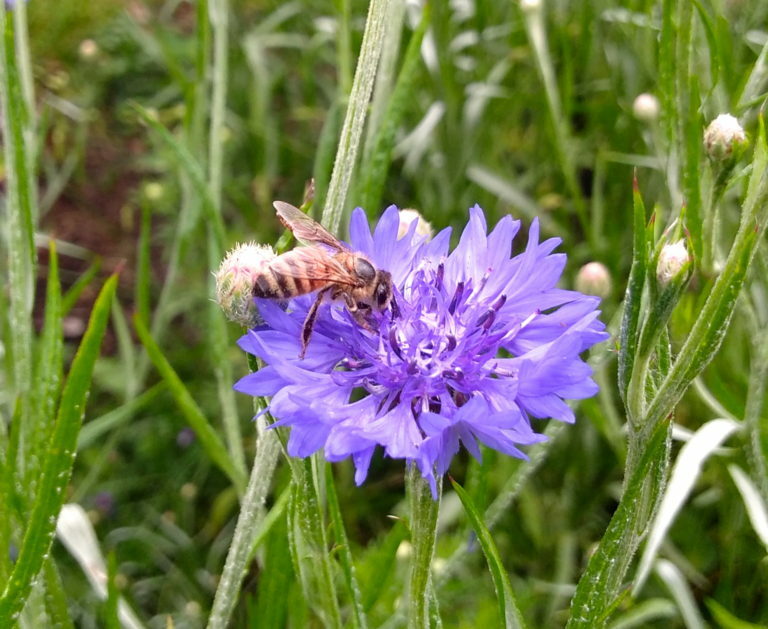 Our farm is on the Sensitive Crop Registry to protect the bees we raise and our organic status. The sprayers don't fly over our farm which is a contentious issue for some in the area. When he brings me a shoe, I exchange it for his toy. When he barks at the sheep we teach him to sit quietly. While we're opening a gate he waits. He's learning patience. The first week we repeated the process about 100 times daily. By the following week there were a few less corrections. Each day is better than the day before. Soon it will be second nature, for now it's a learning process. Our dogs are getting older. Maisey is 11, she loves her job, she's great at it, too. Miley is 13 and takes Maisey's lead. She's gentle but needs a lot of affirmation. Spike is fourteen, his hearing is failing but his attitude is strong. Eva is younger but she has a plate and rod in her front legs. She gets around fine, though. They're all mentors. 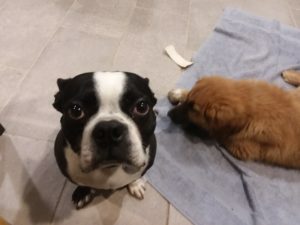 Their job is to teach Gus the rules of our farm. When we move cattle they wait for the herd to walk past. They follow any stragglers pressuring them. They are Quiet and patient. The ewes are protective of their lambs so the dogs keep a greater distance. They pressure the sheep without chasing or barking. When the sheep move in the right direction the dogs back-off. This rewards the flock. When the sheep stop, or deviate course, the dogs pressure them again. On our daily walk up the lane there are no rules. It's a free-for-all. They wrestle, bark, and fight for the best stick, bone, or toy. 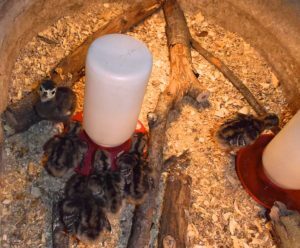 They chase deer, flush pheasant or turkey and run wild. They bark, growl, and race ahead. But, the dogs are always quiet when they're with the livestock. With great role models and consistent work the new guy, Gus is catching on. 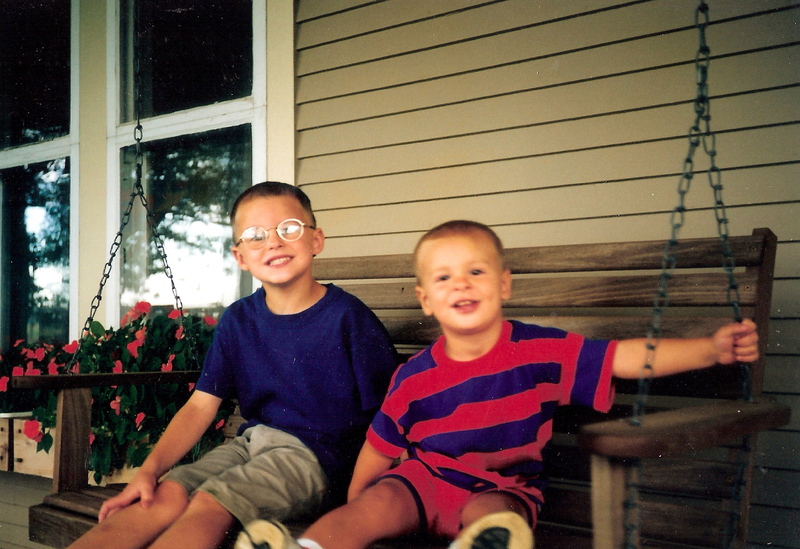 Oh, and then there's Grant. He's teaching Gus how to nap. Grant's specialty is sleeping in the sun, or on the sofa, surrounded by the chew toys that he took from the puppy. Put your dog and your wife in the trunk of the car for an hour. When you open the trunk, see who's really happy to see you. 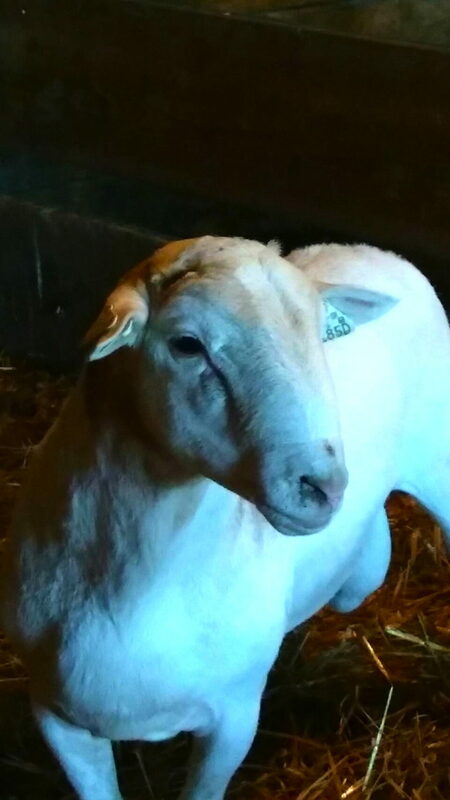 In August we bought a ten month old Dorper ram to begin breeding ewes in November. Two weeks later he disappeared. Put a notice on the radio. Ten days later our friend, Ron called, "Your ram is heading up the road by my place. We’ve got ewes in the barnyard, that should get his attention." As we pulled up to Ron's place a few minutes later. He started shaking his head, "Sorry, he ran past and didn't even glance at the ewes." Ron lives about four miles from us. We talked with Ron's neighbors. For the next five weeks there was no word on the ram. During the time he was gone decided that if we got him back we’d sell him, and not to use him for breeding. We thought he might be unsuitable or lead our ewes away from the farm. Then early one morning our friend David called, "Hey, I spotted your Ram this morning." He started laughing, "He's about 50 yards away, standing outside your gate." That afternoon I ran into a wise friend and retired veterinarian, Merle. "Congratulations, I heard you got your ram back." News travels fast in a small town. I shared our concerns about keeping the ram. Merle asked if the ram came from a large farm. 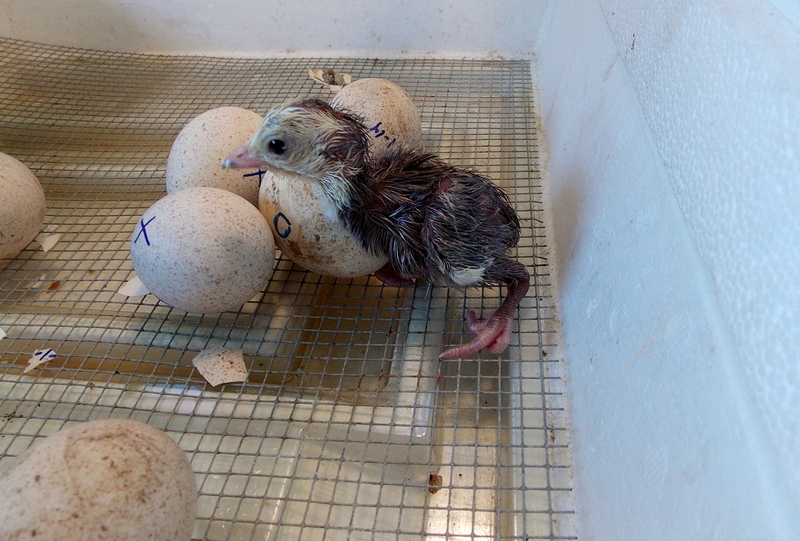 He did, the breeder had about 1000 head. Merle smiled, "He's young and he got bullied. He wasn't dominant in the herd and he's conditioned to avoid confrontation. Based on his age he's never bred and doesn't know what he's here for." Merle had the cure, "Take one of your older gentle ewes and put them together. He'll figure it out." Three minutes later the ram understood his calling. He's not interested in leaving now, he’s got other things on his mind. This spring his first crop of lambs will be here. 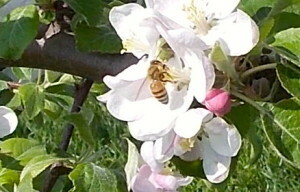 In the early spring, when the apple, peach and cherry trees are blossoming I keep the bees interested in pollinating the fruit trees by cutting the grass very short. This keeps the dandelions down until after the trees have finished blooming. It’s my trick to get bigger fruit crops. Later in the spring there are still plenty of dandelions to keep the bees happy . And there's a variety of clovers and flowers planted for the bees, too. 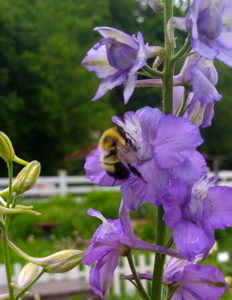 It’s a pollinator paradise. 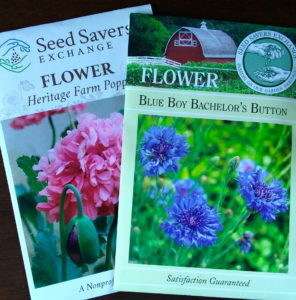 On a trip to Seed Savers Exchange I bought Blue Boy Bachelor’s Button, Lambs Ear, and Heritage Farm Poppy seeds. The bees love these. 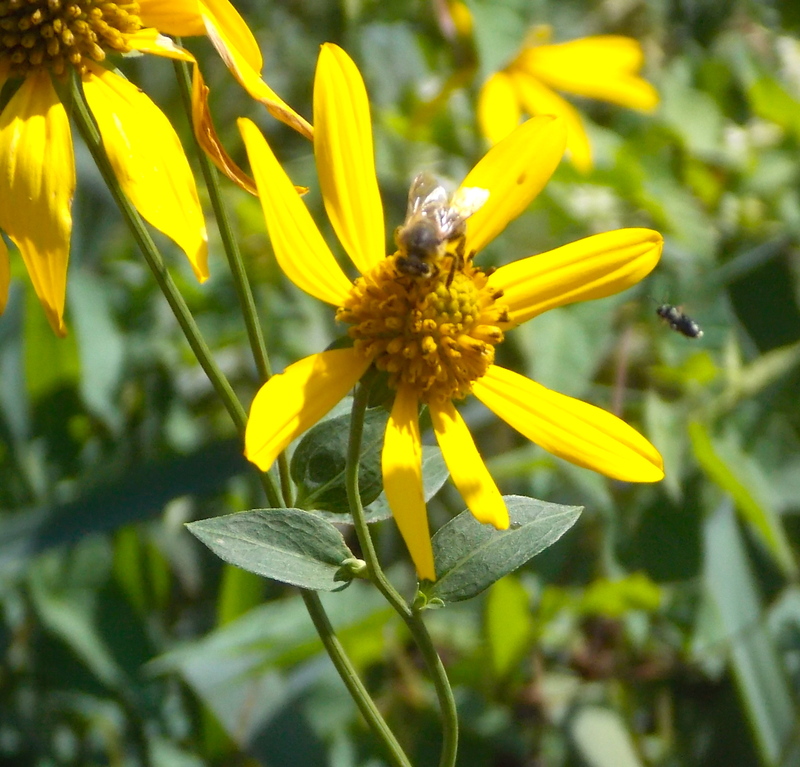 On our farm the pollinators are safe from pesticides and herbicides. We’re an organic farm, it’s all about health and quality of life. This lemonade is a great energy booster. 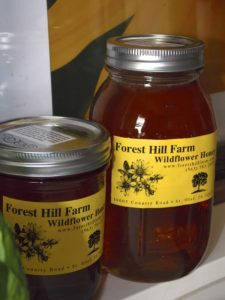 Not only does it taste great it helps the honey bees and your local beekeeper. Put the honey and lemon juice in a blender and mix at high-speed for one minute. Pour into a pitcher, add water and ENJOY! You can add fresh fruit, raspberries or strawberries taste great. Adding ginger or mint is an extra tasty treat, too. Meyer lemons make this even better, they’re sweeter than regular lemons. When they’re available buy them in bulk and freeze the juice. Plant bee friendly gardens and keep them pesticide free. These recipes protect your fruit trees and kill weeds without using glyphosate. Working on time management skills? You might just learn a thing or two from a cow. In the 1940's Cornell University studied cattle to see how they spent their time each day. Andre' Voisin's book, Grass Productivity has the detailed study on the efficiency of grazing cattle. The university studied cow-calf pairs on pasture. 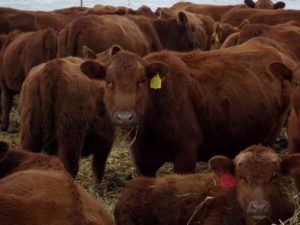 Observers learned that cattle graze for a little less than eight hours per day. No over-time for bovine. They never exceed eight hours of grazing time. The cattle spent about seven hour per day ruminating (chewing their cud). The time differed slightly depending on the fiber content of the forage. Some ruminating is done lying down and part standing up. Cattle lie down for slightly less than twelve hours per day. Cows divided these 12 hours into nine rest periods of varying length. The cattle in the study didn't deviate in their daily routine. When they replicated the study in other countries the cattle showed the same results. In areas with hotter daytime temperatures the cattle spent no more than eight hours grazing, but they did it at night. The slight variances by breed or heredity weren't much different, they didn't change the study's results. Here's where the efficiency of grazing cattle matters. ; If cattle spend eight hours grazing each day quality is everything. If they're grazing poor pastures without nutrient dense forage they're basically spending eight hours eating junk food. 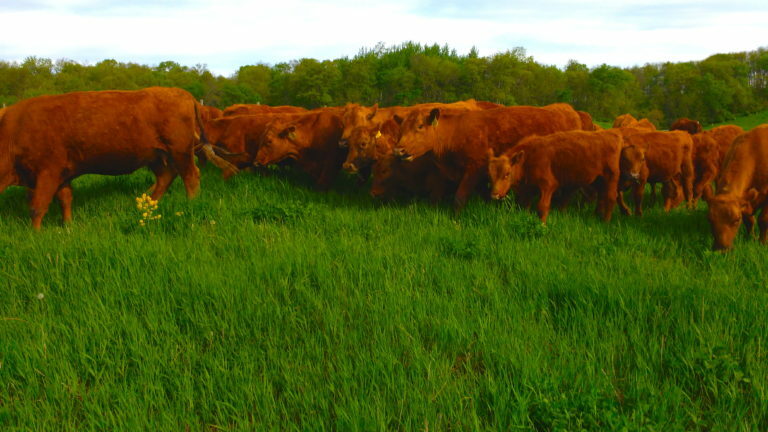 Eight hours of quality forage, either pasture or hay, boost the cattle’s health. Feeding quality produces quality results.And how they're grazing matters, too. MIG grazing improves soil quality and prevents erosion. If you're spending eight hours at something be sure to get the greatest return from those hours. Junk in - junk out. Quality counts. With organic production It's about quality not quantity. They're vanishing at an alarming rate. Lets pretend that in your line of work the numbers started to change. There's a sudden decline in people needing your services. Lets pretend that you're a teacher. One morning you walk into the school. Something's wrong, you can feel it. When the bell rings one-third of your students are missing. A few minutes later the principal walks in and asks to speak with you. She shares that in each classroom thirty percent, and in some classrooms seventy percent, of the students are missing. The trend continues day after day. The declining enrollment is alarming. And it's not just your school. This is happening at all the schools in your state. In the coming months you learn the trend is happening globally. 30 - 70% of school-aged children have vanished. What's causing this and where have the children gone? Now it's getting personal. The decline is affecting your contract. Lower school enrollment equates to lower numbers of teachers. How will you meet your financial obligations and feed the family? Seems far-fetched, right? Well, this is exactly what's happening to the bees. They're vanishing without a trace. Beekeepers have lost 30% of their colonies. In some areas the numbers are closer to 70%. Remember; one out of every three bites of food requires bees for pollination. If 70 percent of all cattle or 30 percent of all chickens were to die annually, states of emergency would be declared everywhere. The death of bees is at least that dramatic and with even more far-reaching consequences. The more personal an issue is the more meaning it has for you. The declining bee population does directly affect you. One of the reasons for the decline is due to herbicide and pesticide use. Studies show that when hives are located close to genetically engineered crops both honey and pollen contain toxic levels of chemical residue. Bees suffer with memory loss and nervous system disorders after visiting plants genetically engineered with systemic pesticides (neonicotinoids). The toxins create confusion, the bees can't find their way back to the hive. 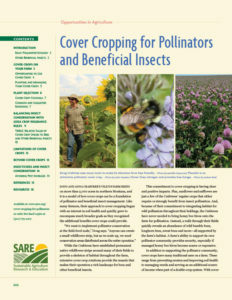 Sustainable Agriculture Research & Education (SARE) has a free publication; Cover Cropping for Pollinators and Beneficial Insects. Planting a cover crop of Buckwheat is great for honey bees and other pollinators. It will improve your garden, too. Please, Save the honey bees. August 20, 2016 is National Honey Bee Day.